The world-famous universal knife guards from nosh have been protecting knives (and fingers) since 2012. Our patented design ensures your knives are safe from damage and wandering hands without scratching the blade. The specially shaped opening is designed to make insertion and removal of knives quick, easy and above all, safe. Works with steel and ceramic kitchen knives of any width. Our patented design incorporates a specially designed flared opening to make blade insertion a breeze. The opening also forms a finger guard to protect your fingers. Anyone in the food service industry will appreciate the additional safety & protection offered by our knife guards - designed to work fine inside a knife roll for storage & transport. Designed to protect blade edges (and rummaging fingers) when stored in the cutlery drawer. Always ensure that they are stored out of the reach of children. Work well with steel and ceramic knives of any width. Just select the appropriate length guard and place the knife heel first into the specially shaped opening. 100% polypropylene plastic will not scratch your knives. 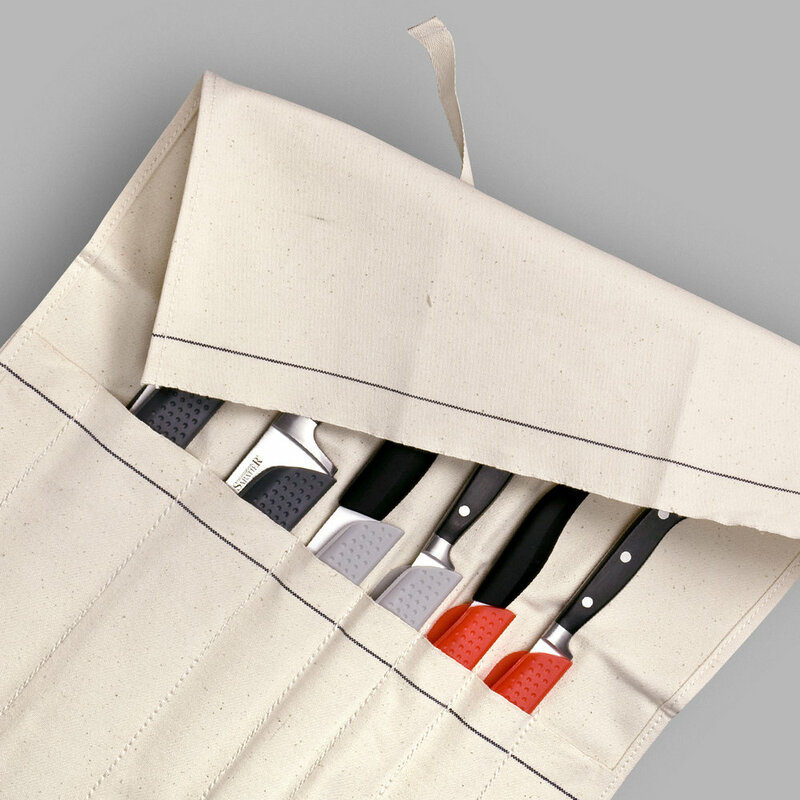 Look out for our new translucent guards - designed to let you see at-a-glance which knife is in the guard. Our no-nonsense packaging is fully recyclable. What’s more, single-item orders will fit through your letterbox so you won’t need to hang around for the postman.